the state or quality of being dedicated to a cause, activity, etc.. I like the synonyms; dedication, devotion, allegiance, loyalty…each of those words conveys a larger story deep within as we articulate and ruminate on them. I think of images such as an impenetrable wall, a solid foundation, an alliance of people in the fox-hole together. The second definition caused me to pause…no, I do not like those words. Nails on the chalk-board, a high-pitched sonic tone piercing my inner ear or feeling of being “tazed” (not that I have experienced that) I don’t like words like; obligation, or restricts freedom and actions. I love my freedom. I want my choice. I long for the right to act how and whenever I want to to…but this commitment seems to be able to limit that which rules my soul. There is definitely a love-hate relationship with the concept. Even in Jesus day there was a struggle. He is the real bread? He was not talking about cannibalism..He was talking about commitment, a life that so embraced the Messiah that the soul would feed and find her sustenance on the divine bread. 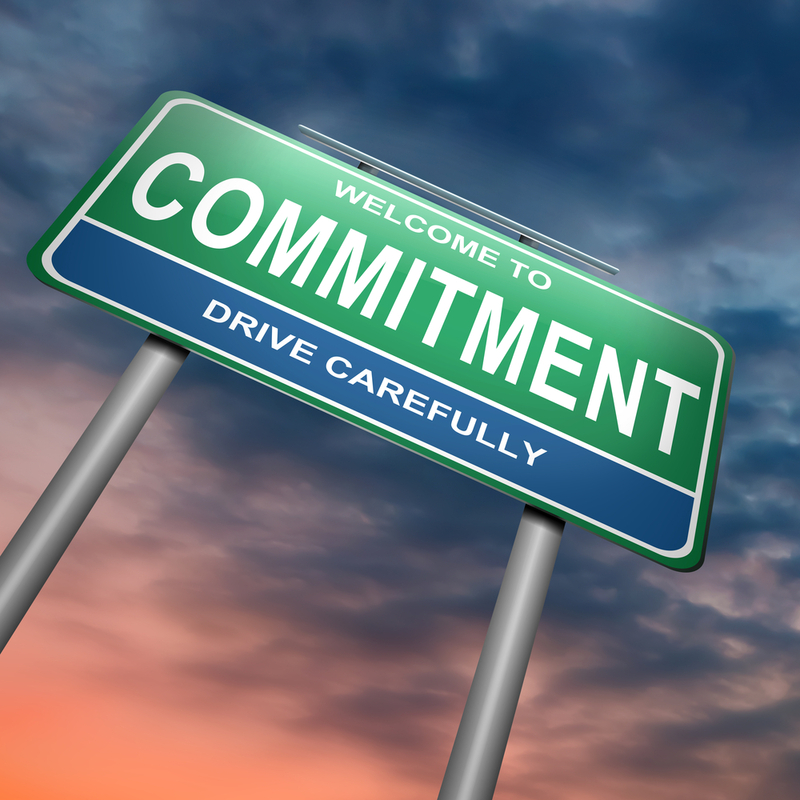 Great leaders demonstrate what commitment means, if they didn’t, they would have few followers. 1. Commitment is a product of choices not circumstances. You always have a choice, even when you think you are out of options. The choices you make determine the life you live. The people who lives as victims of circumstances rarely have a deep level of commitment because they don’t think they have a choice. When we consistently choose to do the right things even when it hurts or has a cost, we are seen as leaders with a deep level of commitment. 2. Commitment endures when it is founded upon something bigger than you. What are you committed to? Does it have value? Does it have significance? Is it bigger than you, or beyond you? Does the thing you are committed to have value beyond the tangible or the material? When you are committed to something or someone bigger than you, it will last. If your commitment is founded on you, or your wants only, it will be short-lived and will ultimately fade away. 3. Commitment is forged in adversity. It has been said that “Great leaders are not born, only babies.” No one is born with a high level of commitment, we are born with a high level of self-preservation. Commitment doesn’t come easy, it is a nirvana moment found on the mountaintop, it is forged in the trenches when you want to cut and run, when you are giving more than you are receiving, when the path before you is self-sacrifice and not self-fulfillment. If you avoid adversity, you will never become a person of commitment and your leadership will hit a low ceiling. Making a strong commitment is never easy. You will need to breathe deeply, pray hard, and act when you are not sure of the outcome. This takes courage, integrity and faith. 5. Commitment reveals what you value. You you take a stand, when you make a commitment and stick to it, you are telling the world what matters to you. When people know what matters to you, they are able to decide if you are worth following. When the things that matter to you are bigger than you, and you consistently live according to your beliefs, your values will attract people who also have a deep sense of commitment as well. The leader who acts with integrity and honesty will create a committed team. Key questions to ask, “Am I living out what I am expecting from others?” “Is my private live reflected in my public life?” “Is my yes, yes and my no, no?” “Can people count on my actions to follow my promises?” When we walk the talk, it reveals and reinforces our commitment. Collaboration is perhaps the most needed skill in organizations today. When we become silos of competition, we compete for resources and atta-boys all the while failing to share what we have. This negatively affects the bottom line and the organization fails to succeed or reach a fuller potential. Committed leaders care more about the team or organizational goals than about elevating themselves. Collaborating raises the game for everyone. The leader who inspires, builds-up and motivates others tends to be motivated herself. When leaders get stuck in the accomplishments of tasks, solely, and fail to build up others, will limit the success of their team. When leaders encourage, inspire and help others develop new skills and increase their abilities, they are developing a highly committed team. The days of pretending to be someone or something that you are not are over. In todays marketplace, great leaders are honest, authentic and are able to show some vulnerability. Everyone knows you are not Superman, so when you pretend that you are, you lose their respect and commitment. Get real, get honest, and get results! Great leaders cultivate their soul, when their soul is healthy they lead well and show their commitment. When others know they are committed, the field is ripe for amazing things to happen.